I will be participating in this year’s Vino de Sueño (VDS) art and wine charity auction. Tickets are available for purchase on the VDS website. 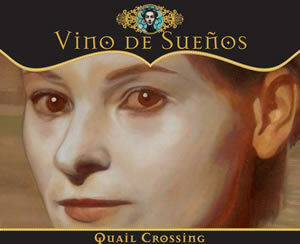 My painting is paired on the label of the Quail Crossing Vineyard‘s 2009 Pinot Grigio. Half of the proceeds go to a charity set up through the nonprofit People Helping People to benefit the vineyard and agricultural workers of the Santa Ynez Valley.